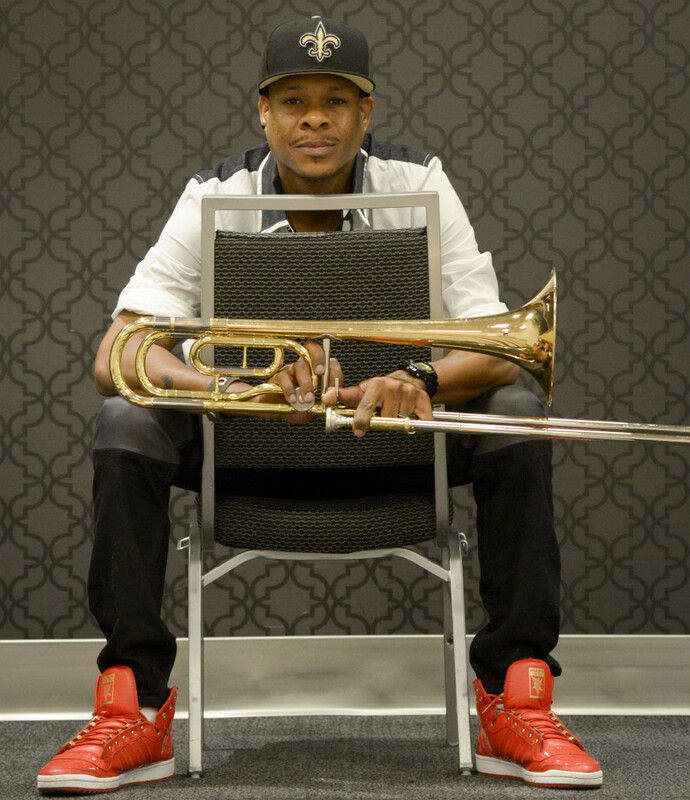 Trombonist COREY HENRY has what many musicians would consider the ideal upbringing: Raised in the neighborhood of Treme, the birthplace of jazz and a stone’s throw away from Congo Square, surrounded and nurtured by some of the most important musicians in New Orleans history. With “Lapeitah,” his national debut from Louisiana Red Hot Records, Henry reveals a signature playing style and the ability to lead a band with his own muscular voice and his trombone blasting through the room like a fast-coming train, fueled further by the crowd’s energy that he inspires. Henry was the trombonist on Rebirth Brass Band’s “Rebirth of New Orleans” that won the Grammy for Best Regional Roots Album in 2012.